A good question….is coal tar safe? As most within the industry already know, coal tar is eminently safe for use in a wide variety of construction projects. All airborne contaminants given off by coal tar products are well within the acceptable limits. OSHA, in fact, has given the all-clear to companies that use this material for sealcoating projects. Most of the health risks have been linked to unrefined tar, which is not used in pavement projects. 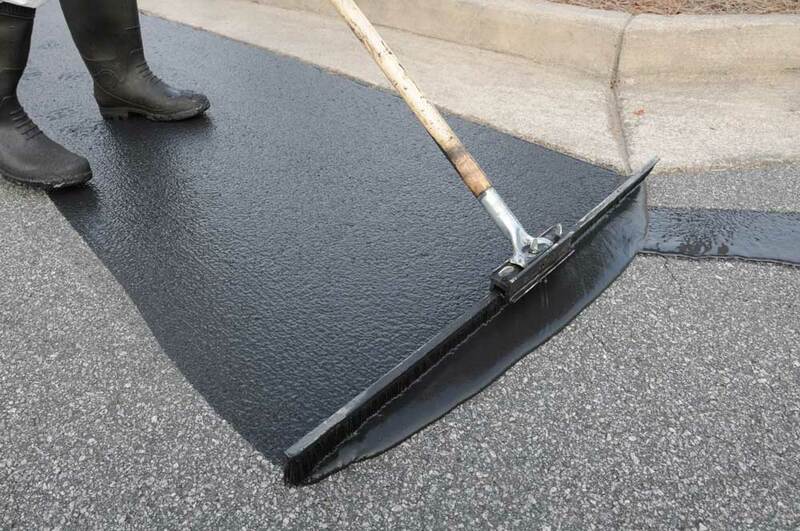 The refined coal tar products that are in use in the asphalt industry have been specifically manufactured for sealcoating asphalt pavements. Workers and clients can rest assured that they will not be putting themselves at risk whenever a routine sealcoating job is undertaken on a degraded asphalt surface. Because coal tar has been shown to be perfectly safe, it brings a number of benefits to sealcoating jobs. When applied as a sealant, it adds a rich black coating on top of the pavement. The material is also fuel and oil resistant, which means gasoline that is leaked onto the asphalt will not penetrate to the base of the pavement and cause structural damage. Coal tar sealer is safe for use in both residential and commercial projects. It works well on parking lots, driveways and access roads. No adverse health effects are likely to be noted. Asphalt Pavement Solutions offers a wide array of pavement services. Craftsmen can help with asphalt sealcoating, crack repair, asphalt repair, traffic sign installation, line striping, pavement marking and concrete repair. The contractor will design a viable project plan that can be followed through to completion. Prospective customers can fill out the online quote form or give us a call for further assistance at 1.800.559.SEAL. We are the experts in asphalt sealcoating throughout Philadelphia, New Jersey, and Delaware!